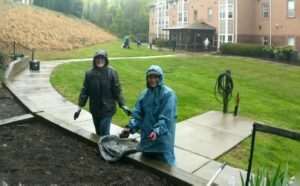 National Volunteer Week has been inspiring for Mercy Housing residents and partners this week. 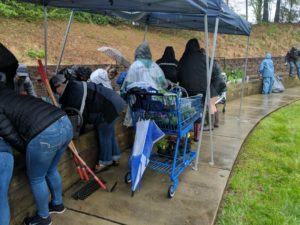 We thank everyone that’s come out and joined the community at our properties to help out. 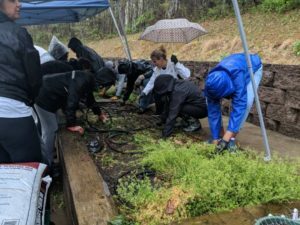 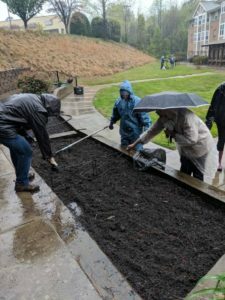 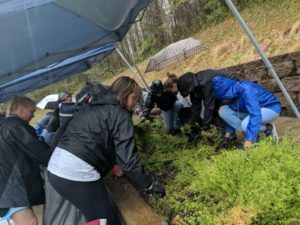 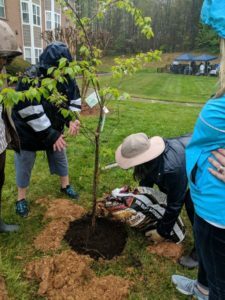 UnitedHealthcare and Mercy Housing recently teamed up for a volunteer project at Mercy Place Belmont in Belmont, NC, and they didn’t let a little rain stand in their way of making a difference! 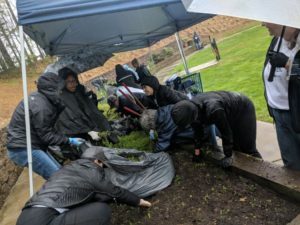 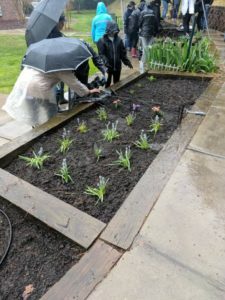 The property, an independent living apartment complex for low-income seniors, was desperately in need of spring renovations for its outdoor garden. 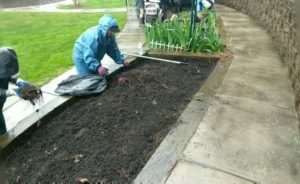 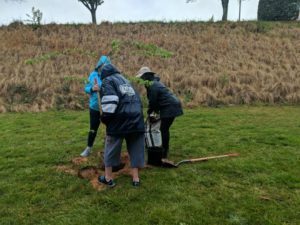 Volunteers weeded soil, constructed planting beds, and planted new plants across the property. 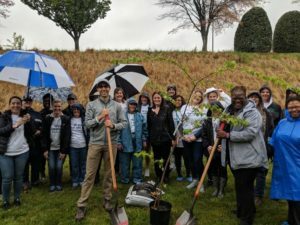 In addition to supporting communities through this volunteer opportunity, UnitedHealthcare is supporting Mercy Place Belmont through strategic grant funding. 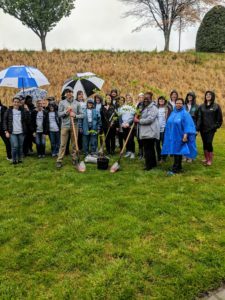 Thank you to all the volunteers and UnitedHealthcare employees who came together to make this opportunity a reality! 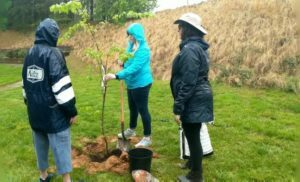 Volunteers are making a huge impact across the country. 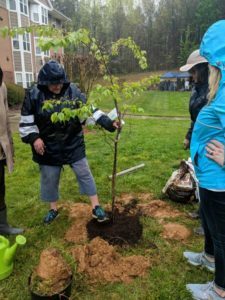 If you missed volunteer opportunities this week, don’t worry—Mercy Housing has ongoing volunteer opportunities all over the country. 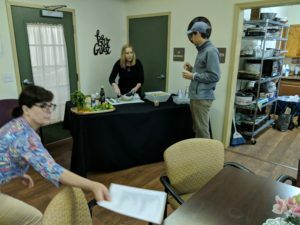 Contact us to get involved or ask questions.